Today's Freebie Friday will make a wonderful Mother's Day Gift or a great treat for yourself. 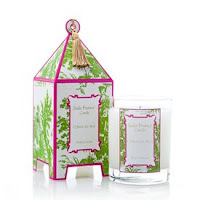 Courtesy of Chic Giving, we are giving away a Seda France Pagoda Candle. These are one of the best candles you can buy. They have been featured in various magazines and TV shows. Check out the various scents at Chic Giving. We will be giving away the Citron Du Sud scent. These candles are packaged so pretty, you won't even need wrapping paper. Any mother will love to receive this special candle. I have a new entry method. Hopefully this will make it easier for you to enter. Giveaway will be open to enter until Monday, May 4th at 10am. PS.. 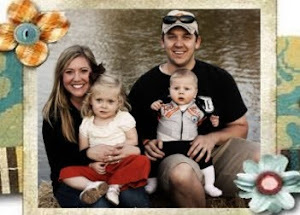 I added some new features to my blog.. If you have a blogger account, you can "Follow" my blog. You can also sign up to receive an e-mail of my posts. Yesterday marked 30 days of blogging straight (minus two weekend days.. come on they don't count.) In my eyes I won the challenge. Hopefully my makeover will be done soon! I can't wait. Tried your Greek Salmon recipe the other night...it was great! I wasn't sure if a 16 year old would care for salmon, but Taylor really liked it, too! I served it with garlic mashed potatoes, the greek salad, and fresh asparagus I had lightlly covered with olive oil and sea salt then grilled with my George Foreman grill...made quite a fancy dinner with not alot of effort!